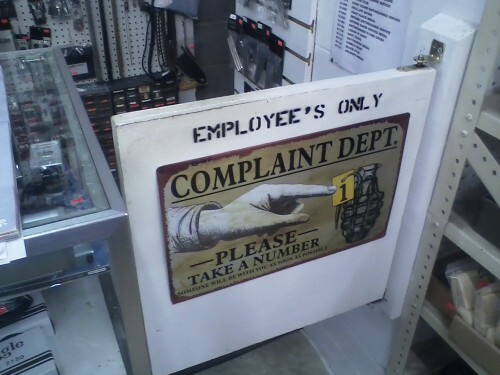 Perhaps they only have one employee? This was taken at an army surplus store in Wilmington, NC, and I do believe the picture speaks for itself. Tagged with abuse, apostrophe, businesses, photos, shop, sign, stores.